When it comes to implementing M2M applications, maximum flexibility plus minimum complexity is a good starting point for success. When looking at satellite applications specifically, factors such as latency, line of sight and antenna constraints, among others, make it doubly important to be able to deliver multi-network connectivity without increasing hardware complexity. Take for instance heavy equipment Original Equipment Manufacturers (OEMs), who need to ship their telematics-enabled construction machinery to multiple geographies with differing regulatory approvals. 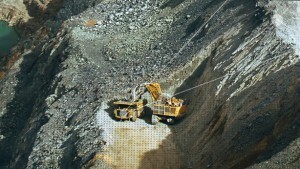 For heavy equipment customers with machinery working in deep quarries or urban canyons, connectivity using low-earth orbit (LEO) satellites is very effective since a fixed line of sight is not required for sending and processing data. For other applications requiring lower latency or different regulatory approvals, connectivity using a geostationary (GEO) satellite service may be required. For refrigerated transportation customers with mixed fleets including trailers, intermodal containers and/or shipping containers antenna installation restraints can be a real consideration. Antennas sizes can vary greatly based on a satellite service’s frequency. So too can latency, where a requirement for less than five-minute latency changes which low-data rate satellite communications service is ultimately required. This leaves OEMs and system integrators looking for solutions to minimize complexity when it comes to delivering connectivity to a wide variety of assets requiring different message sizes, delivery speeds, geographic coverage and regulatory requirements. Today ORBCOMM took another step in simplifying the hardware decision-making process for OEMs and creating a truly standardized M2M platform by announcing the commercial availability of OGi—its new IsatData Pro (IDP) core satellite modem. The OG2 and OGi satellite modems are completely interchangeable, providing customers with plug-n-play satellite connectivity using the ORBCOMM VHF network and/or the Inmarsat L-band network without the need to redesign their M2M solutions or stock and support two devices. The versatile modems are nearly 50% smaller than a credit card and feature an identical footprint, connectors, power input, programming environment, communication interface and protocols. Similarly, data delivery for both the ORBCOMM and Inmarsat networks is transmitted through a common interface provided by the ORBCOMMconnect portal. ORBCOMMconnect provides data from three satellite networks and seven terrestrial networks using a single connection, reducing the complexity of managing and integrating global M2M assets across multiple networks and technologies. The competitively priced modems make dual-mode M2M applications very cost-effective for our customers while providing global terrestrial roaming, complete open ocean coverage and protection against cellular outages and/or technology migration. For more information on ORBCOMM’s OGi core modem, and how to order a Developer’s Kit, please visit http://www2.orbcomm.com/satellite-modems.